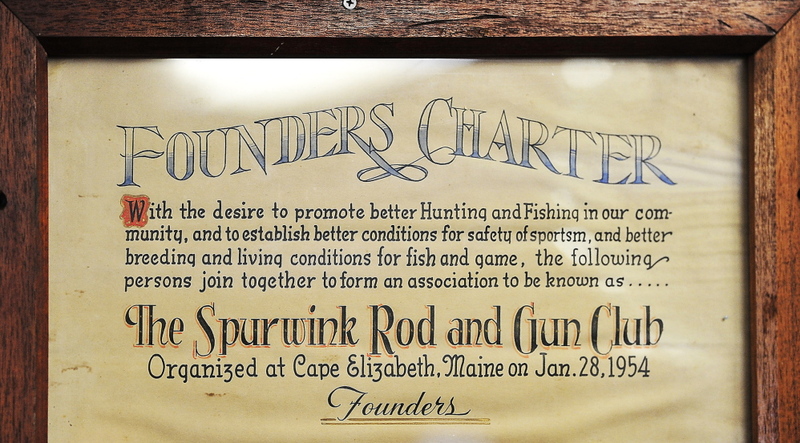 A committee will address concerns about the Spurwink Rod & Gun Club at Monday's session. CAPE ELIZABETH — The newly formed Firing Range Committee will meet for the first time Monday to begin addressing noise and safety concerns related to the Spurwink Rod & Gun Club. The seven-member committee was formed after the Town Council unanimously approved a shooting range ordinance in March in response to growing complaints from some residents of the Cross Hill neighborhood. The meeting starts at 8:30 a.m. in the Pickering Conference Room at the police station, 325 Ocean House Road. The committee will review its charge from the council, develop a meeting schedule and hear an update from gun club members on their efforts to address community concerns. The ordinance allows the town to develop a yearly licensing process that would apply to the outdoor shooting range at the gun club, currently the only range in town, and any future ranges that may be proposed. The club has one year to submit a completed license application. The existing range was permitted by the town and built in a wooded gully in the outer reaches of Sawyer Road nearly 60 years ago, when the club’s nearest neighbors were sprawling farms. Under town ordinance, the club pays no property taxes on its 18-acre parcel because it is a social group, town officials said. Cross Hill is a neighborhood of $500,000 to $800,000 homes that grew up around the club in the last decade, though other neighbors have complained about noise over the last 30 years. More recently, some Cross Hill residents pushed town officials to address mounting noise and safety concerns, including claims that some houses have been hit by stray bullets. State law doesn’t require shooting ranges to be licensed and prohibits towns from enacting noise ordinances against existing shooting ranges. The council stipulated that the licensing process includes a professional range safety evaluation to ensure that it meets National Rifle Association standards. The committee, largely appointed by the council, includes Cathy Kline, a Cross Hill neighborhood resident; Benjamin Macisso, a certified firearms instructor; town councilors Caitlin Jordan and James Wagner, committee chairman; Police Chief Neil Williams; and Code Enforcement Officer Benjamin McDougal. The panel also will include a gun club member, yet to be named.